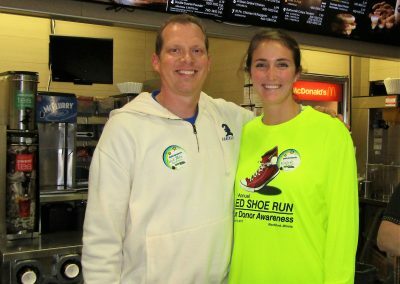 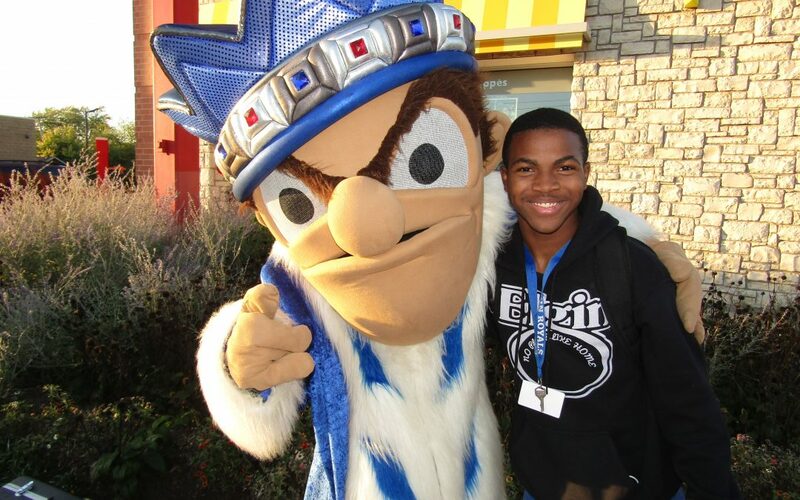 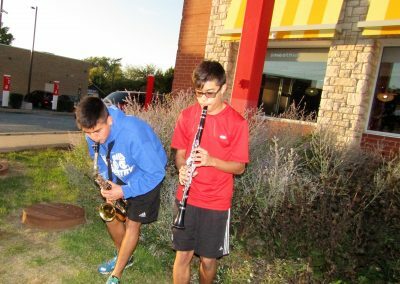 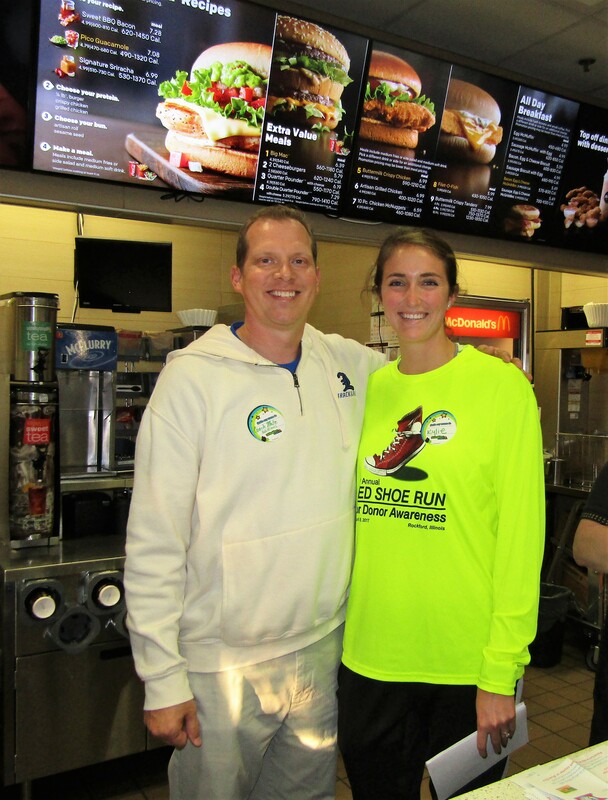 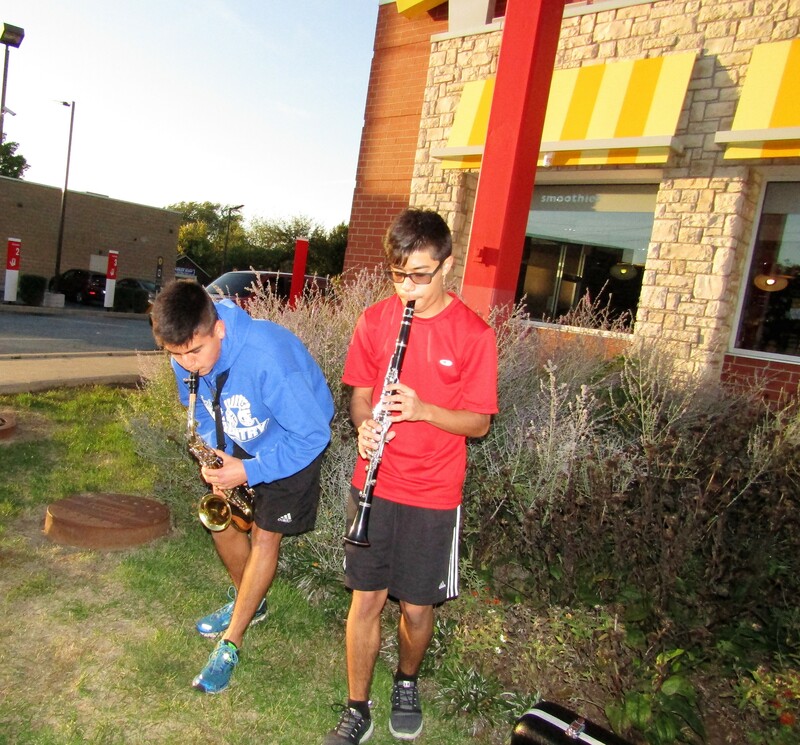 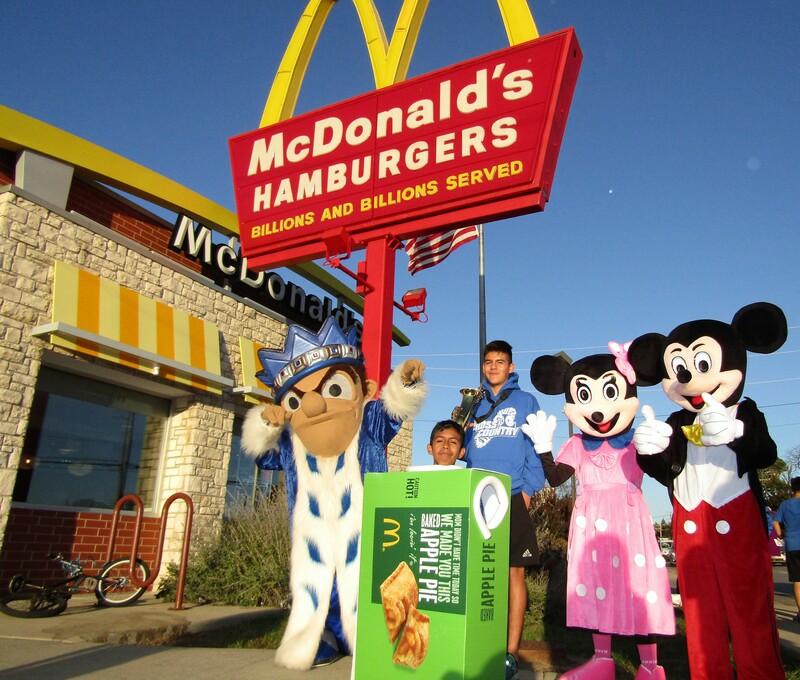 Larkin High School Cross Country Team held a Fundraiser Night at the Elgin McDonald’s on Larkin. 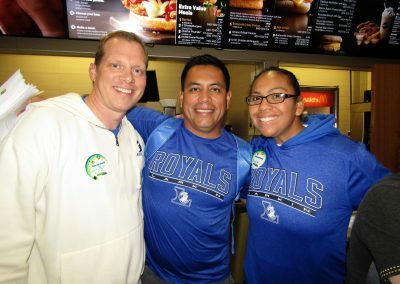 This fundraiser was organized to help raise money for the team by having coaches work at McDonald’s and then giving a percentage of the night’s sales to the team. 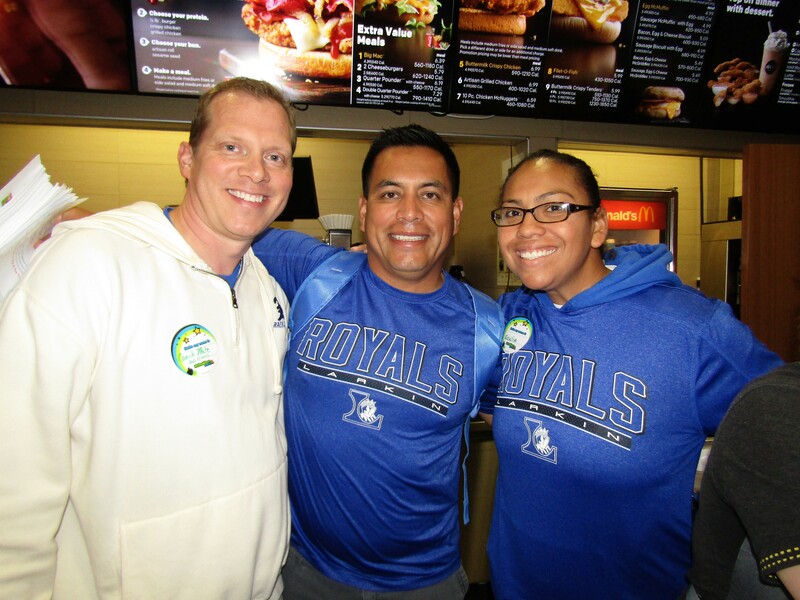 On Wednesday, October 18th, the Coaches serve freshly prepared meals to students and their families. 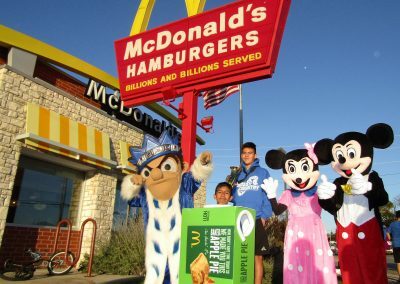 The jobs included greeting guests, cleaning the lobby, working the front counter, serving drinks, clearing tables, selling pies, and even dressing up in a pie costume—all duties which were executed with great enthusiasm.